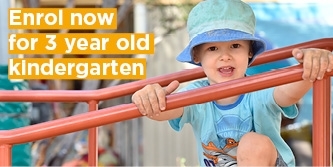 Located in the leafy suburb of Greensborough and adjoins the Banyule Maternal and Child Health Centre, Greensborough Preschool offers a well-resourced centre and an expansive indoor and outdoor environment where children are able to learn and grow in a safe and caring learning environment. 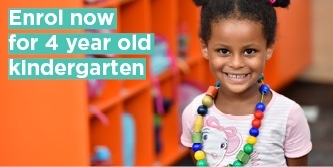 Our centre has been providing a quality kindergarten program for our community since 1959. As a community program we value working in partnership with families and the local community. The centre provides two four-year-old programs and one three-year-old program. Our dedicated and committed staff includes three early childhood teachers and two assistants. Greensborough Preschool has been rated as Exceeding National Quality Standard. Information about the National Quality Standard. Greensborough Preschool is committed to providing a program which meets the needs of all children and families in our local community. All children attending our centre receive expert care and planned experiences. All areas of your child's development - physical, social and emotional, aesthetic, linguistic and intellectual are covered in our daily programs. Our kindergarten program is based on the individual needs and interests of the children. The staff engage children in the program by challenging them to solve problems, ask questions, listen and reason, attend to and complete tasks, relate to peers and adults positively, work independently and in a group, take responsibility for themselves and extend their experiences and knowledge of the world.